The Indiana Chapter has moved a few blocks west to a small office space in the 1885 Romanesque mansion built by South Bend business leader William Kizer, listed in the 1915 LH Road Guide as the St. Joseph County Consul. While the interior is being renovated by Indiana Landmarks, who will use this as their Northern Regional Office, we are in the carriage house behind the home. The INLHA took over the space in the Remedy Building when the LHA National Office was closed in 2008. The replica LH concrete post that was planted during the LHA National Office Dedication on April 21, 2007, will be removed and stored until it can be installed at an appropriate site along the 1928 alignment. The new INLHA address is 801 W. Washington St., South Bend, IN 46601. Bev Gillespie continues as the volunteer office manager. 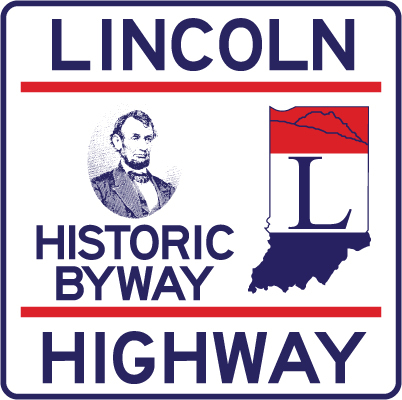 The Indiana Lincoln Highway Association, in cooperation with the Studebaker National Museum and the Center for History, continue the celebration of the 100th anniversary of the Lincoln Highway by presenting two events during the week of September 29. Each talk will be held at 1:30 p.m. EDT in the Wiekamp Auditorium, and are funded in part by a grant from Indiana Humanities with the support of the National Endowment of the Humanities. 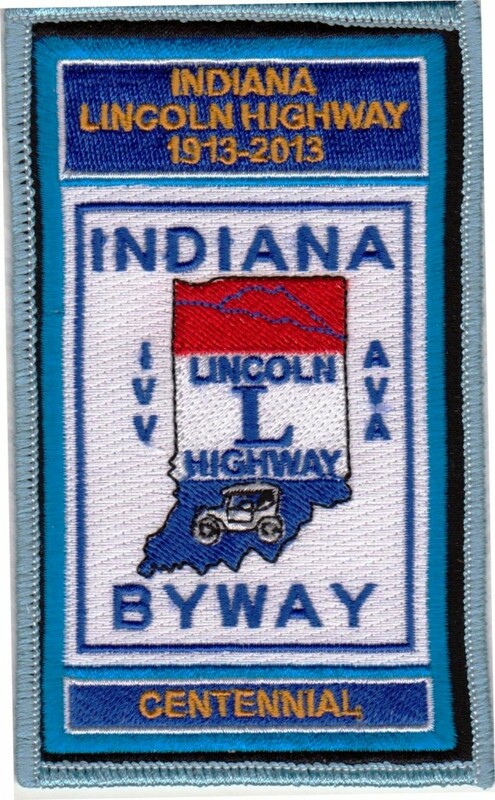 This talk will show how the Lincoln Highway served as a model of the evolution of the highway system in America and cover the evolution of travel from rural roads to improved federal highways in the early part of the twentieth century. “Carl Fisher” will be on hand to describe his vision for the first coast-to-coast rock highway. This talk will introduce the founders of the Lincoln Highway. It will also explore the many connections between South Bend and the Lincoln Highway. 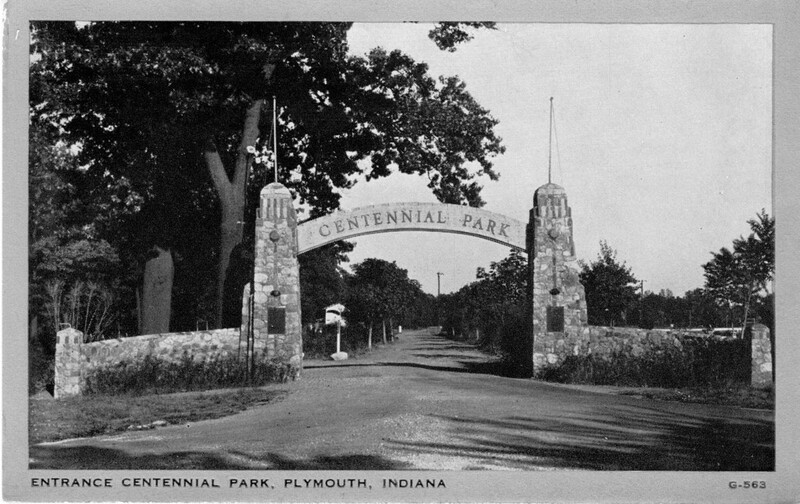 Included will be a tour of the exhibit, The Lincoln Highway: Centennial Reflections. A new heritage tour in South Bend highlights the legacy of several titans of industry who influenced the city’s history and development. 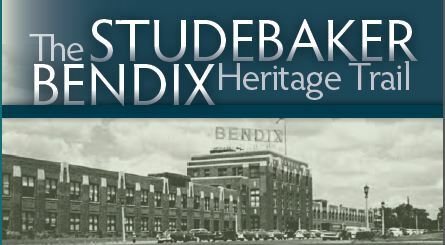 The just-released Studebaker Bendix Heritage Trail brochure guides participants on a 13-site tour of churches, homes, and factories associated with some of South Bend’s most prominent businessmen and their families. Download the brochure (click here for a pdf file), or request a copy by contacting Todd Zeiger, 574-232-4534, tzeiger@indianalandmarks.org. 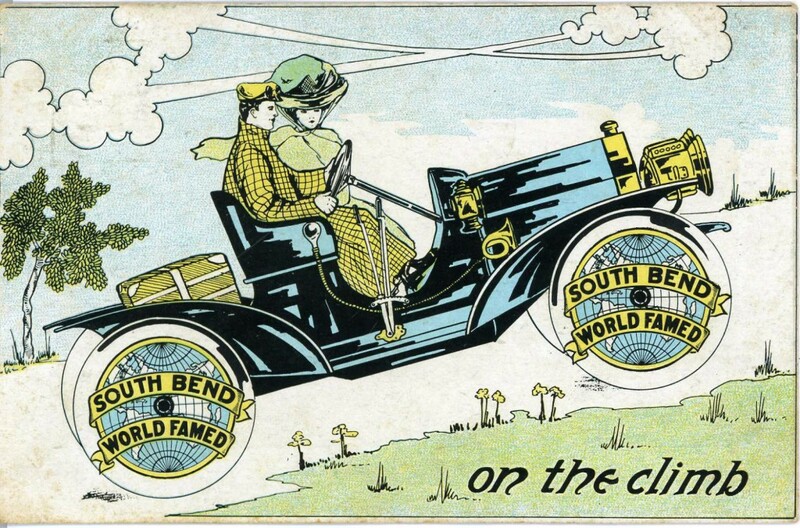 On July 21, explore the historic Lincoln Highway Byway’s 1913 route through St. Joseph, Elkhart, and Noble Counties during Indiana Landmarks’ Lincoln Highway Adventure and Moveable Feast. 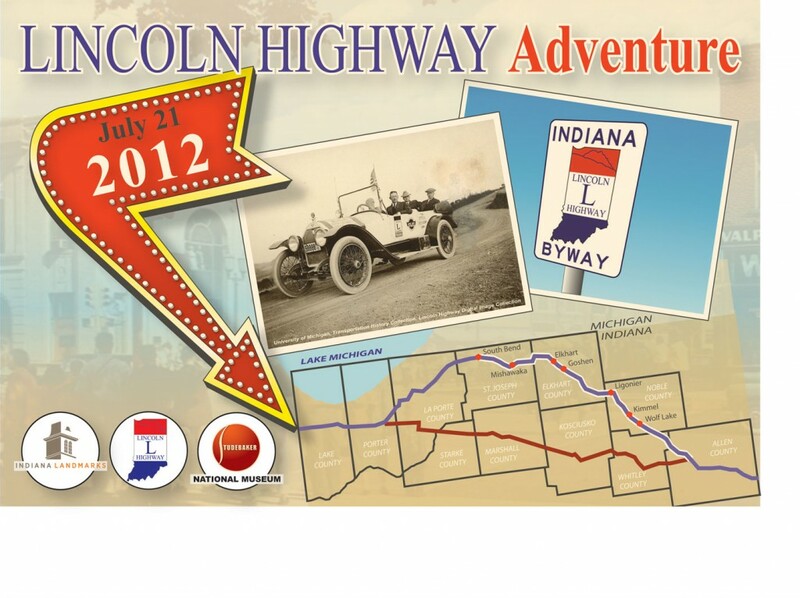 The Adventure is a partnership of the Indiana Lincoln Highway Association and Indiana Landmarks. Follow the highway east from South Bend through scenic landscapes; explore historic sites, and enjoy dining and shopping in towns along the route, including Mishawaka, Elkhart, Goshen, Ligonier, Kimmell, and Wolf Lake. End the day in Ligonier, where the Movable Feast showcases landmarks including the 1889 Ahavas Sholom Temple, 1899 Solomon Mier House, 1839 Stone’s Trace Historic Site, 1879 Kimmell House, and 1930 Luckey Hospital Museum. Each registered vehicle will receive an Adventure Bag with a dash plaque, discount coupons, and Adventure Passport Booklet containing information about sites along the route with by turn-by-turn directions. Check in via FourSquare or stay connected through your other favorite social media during the Adventure. The Lincoln Highway Adventure welcomes families, car clubs and caravans. For more information, contact Indiana Landmarks’ Northern Regional Office, 574-232-4534 or north@indianalandmarks.org.